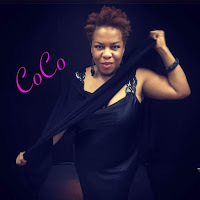 Heralding from Washington DC, USA, COCO ROUZIER is on a tour of the UK including venues in London and Edinburgh. The Cherry Tree, Newcastle is especially delighted to have been chosen as a venue, rounding off this UK tour on TUESDAY 8TH NOVEMBER. COCO is a vivacious tour de force of soulful jazz vocals and has toured the world for more than 20 years with some top bands. She will be appearing with her European Band featuring Peter Gilligan on piano, Paul Grainger on double bass and Rob Walker on drums. We’re taking bookings and would recommend you reserve a table now to avoid disappointment. Doors open at 6.30pm and the concert starts at 7.30pm. We will be serving supper from our regular menus and there will be no additional cover charge. You may keep your table for the whole evening. Please note this special event is on Tuesday evening rather than our usual Wednesday music night. Easy safe parking one minute walk away in Eslington Terrace. Avoid the expense and hassle of in-town parking. This is the lady who sang at the Caff jam session following Saturday night at the Sage Festival (who told FDT he plays like he's had his heart broken). Lord Paul (no less) stopped her as she passed to tell her she has a terrific voice and very much the soulful end of Jazz singers. On Friday I had to pick the missus up at Durham Train Station at 9.15 - great. And I've been planning to give this venue a go for a while and, had it not been for the Bad Plus at the Sage, this would have been the night.